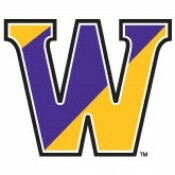 Berkshire Hills Country Inn is honored to have a long standing close relationship with Williams College. Throughout the years our treasured guests have included generations of Alumni, parents, families, performers, lecturers and prospective students. Our property offers a close proximity to Williams College, while surrounding you with the natural beauty of the New England county side. We have an abundance of information on the College, restaurants, events, things to do, etc. and if we don’t have it, we will find it for you. For prospective students, we realize how hectic the College search can be and hope to provide you with some needed R & R during your travels. For Alumni, we look forward to welcoming you back and are pleased that you continue to choose us for your reunion groups. To the graduates and families, thank you for four glorious years! We will miss you and hope you will return. Best of luck in your future endeavors! Call me directly, if I can be of assistance.